Barely a day goes by that I do not receive an email from a customer asking me about Apple’s iPad: Will my software run on it? What are Dancik International’s other customers doing with iPads? Will I fall behind if my salespeople don’t have iPads? 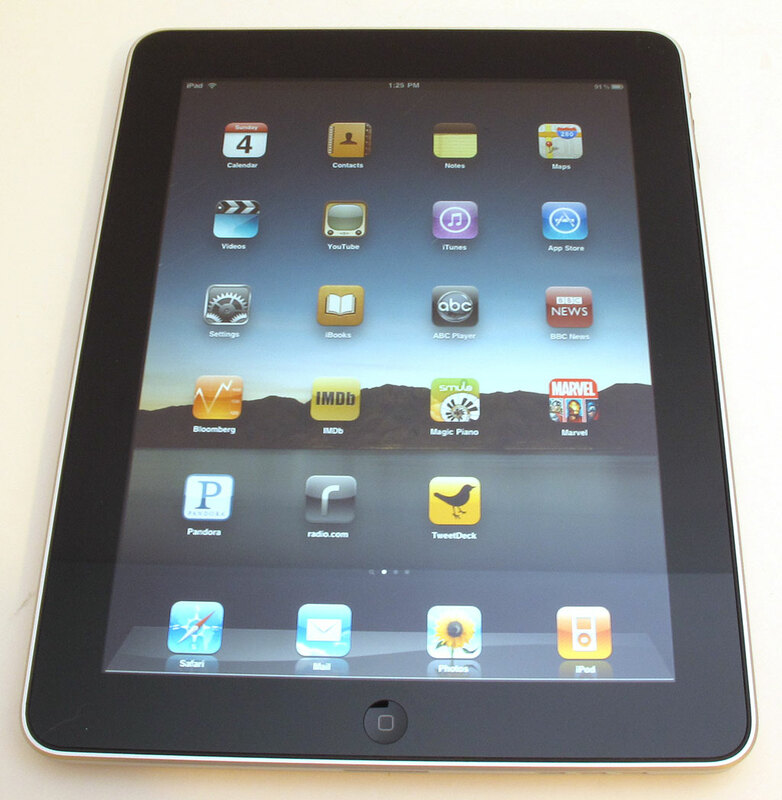 The iPad has hit a jackpot with consumers and hit a nerve with IT staffs trying to make sense of it. Usually, new IT tools flow from the top down and thus, this holy tablet would typically be delivered to your business from the IT mountain top. But this time it’s different. Having already been accepted by the consumer, the demand for iPads in business is coming from the bottom up - from salespeople and others asking IT managers to incorporate the iPad into their mobile IT tool box. Apple has had a string of hits that can be credited mostly to their unique combination of marketing and product savvy. But an iPad is different than an iPod or iPhone. Anyone that sees and iPad expects that it will run anything that runs on their computer. But that’s not quite true. 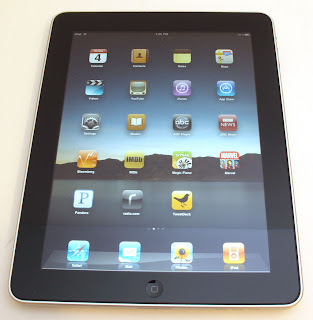 The iPad was designed primarily as a consumer device that is the most portable way to fully surf the web and play videos. Apple may not have expected the immediate attention that the business community has given the iPad and current models are not very good for keying the type of data that most business applications require. We have found at Dancik that when you marry a motivated employee with a way to retrieve data easily, especially while in the field, job satisfaction goes up, training costs go down and customers get better service. That’s why we have approached our foray into iPads (and other mobile devices) by focusing first on those users who have the most face time with customers – salespeople in showrooms and on the road. These salespeople may have been OK using desktop and laptop computers to get information, but they’d rather have it on an iPad or, if the data is concise enough, on their phone. Where do you start? All of the IT staffs and business software companies have their work cut out for them because mobile technology is a moving target. Therefore part of every effort that is made to support today’s devices will be become redundant when a new and better device appears. But that’s not an excuse to wait and see. It’s a reason to get started and try and get ahead of this things as best as you can. While we all get enraptured by the concept of “user friendly,” businesses need to be aware of some significant pitfalls. The biggest danger to avoid is to ensure your software does not lose its primary purpose underneath all the new window dressing. Therefore, make sure that your software retains all of its essential business logic during its face-lift. If you are in the flooring business, managing rolls, cuts, containers, shades of tile, margins, and rebates is still more important than any cosmetic improvement. Also note, that making business applications run effectively on an iPad or other mobile devices is not just about the screen size. Applications must be disaggregated into tiny pieces, and then reassembled to suit a new user that is uncomfortable with strict preconceived work-flows. You can tread lightly into the world of mobile business applications, but not treading at all will be dangerous in the long term. You can start with simple one or two click applications such as “price check.” At the end of this journey, anything you can do on your desktop computer will have a mobile equivalent. The pretty face of technology is not just a pretty face. 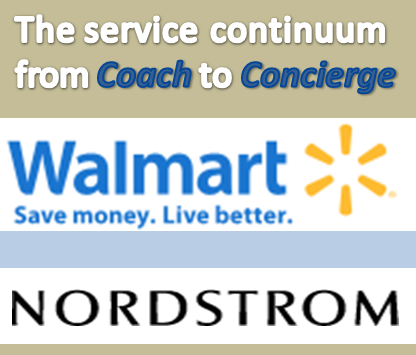 It’s the world your customers and employees live in. 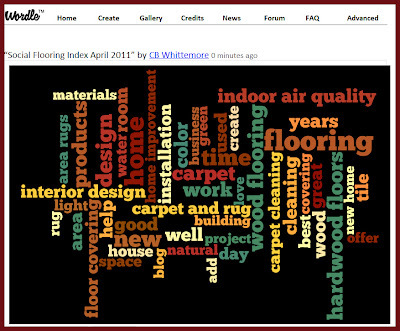 The floor covering industry is relatively new to online conversations - otherwise known as social media. Nonetheless, the industry has started to catch up! Floor covering conversations are evolving. How do I know this? From my research creating and updating the Social Flooring Index, which monitors the social state of flooring. I launched it in July 2009 and issued the latest update in April 2011. 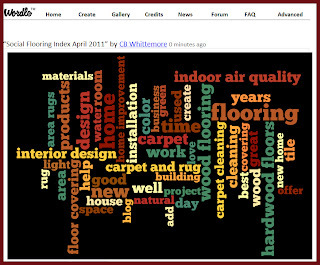 In the April 2011 update to the Social Flooring Index I noticed 168 blogs focused on flooring and flooring related content compared to 88 blogs in August 2010 and 53 in April 2010. These 168 blogs generated 7,571 conversations over the past 6 months which translates to 1.877 blog posts per week compared to .7254 posts per week in August 2010. Flooring conversations are evolving! • 20 of the 168 blogs have high and medium influence in the flooring social media community and the Carpet and Rug Institute Blog ranks highest. - More high quality blogs such as the Floor Covering Institute Blog, the CRI Blog, the BuildDirect Blogs and others which publish interesting content, often editorial in nature, that through relevance educate readers. - More conversation that truly addresses questions and concerns relevant to customers of the floor covering industry. - More interaction online to create a stronger floor covering community [e.g., via comments, links, inclusion in blog sidebars, and guest postings]. ﻿﻿What's the point of all of these floor covering conversations? 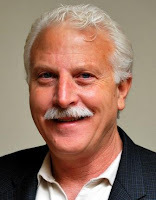 If you frequently read the Floor Covering Institute Blog, you already understand the benefit of online conversations, or articles, such as these that explore topics and issues relevant to the floor covering industry. What we write here may spark other ideas for you. These ideas may in turn lead you to leave a comment or send an email or pick up the phone to explore it in more detail. Online conversations enable collective learning and creative problem solving. They generate feedback on ideas that may not be fully developed or have room for as-yet-unidentified changes in approach. They also allow you to develop an understanding for the thought-process of the person writing, begin to establish a relationship and start trusting what that person expresses. Not too different, if you think about it, from what an pen pal exchange or ongoing business correspondence used to make possible. Eventually, online conversations allow all those involved to become smarter and more competitive and lead to more successful business relationships. In other words, evolving online floor covering conversations are cause for celebration for the flooring industry. ﻿﻿What do you think? How do you see floor covering conversations evolving? What topics do you consider critical that should be addressed and haven't yet? 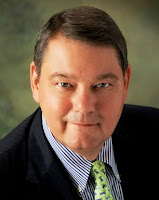 To learn more about me, visit Simple Marketing Now where you can also check out where else I blog. 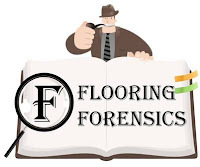 When hiring a forensic investigator to inspect, detect and solve ceramic tile and stone failures you should look for a combination of specific skills. 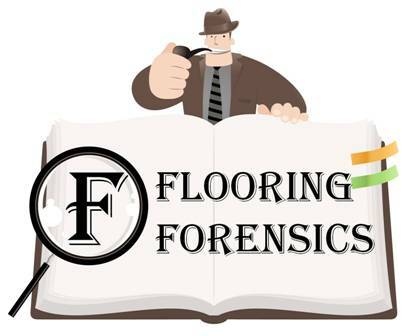 What you want to find is essentially the Sherlock Holmes of flooring forensics. Holmes was observant, paid exquisite attention to detail, understood science and was able to solve crimes by piecing together a sequence of events using a combination of art and science to reach his conclusions. That’s the kind of detective you need. • A high degree of attention to detail. Failures are usually due to several compounding deficiencies; meticulous investigation and paying attention to details are the only way to find all of the clues. 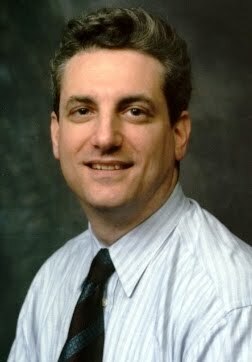 • A thorough understanding of flooring industry standards. Standards are often ambiguous and left to some subjective interpretation. It is important to be able to logically apply or compare the industry standards to the evidence and findings of any given case. During depositions and trials opposing councel will relentlessly attempt to discredit the experts and their findings. For this reason, it is important to be thorough, correct and consistent in referencing the standards to the various aspects of the technical report. • A practical understanding of the ceramic and stone installation process. It is crucial to understand what may have occurred during installation that may have led to a failure. This requires understanding the processes and challenges of installation. I know that from having learned the business from the bottom up. My hands-on installation experience has proven invaluable in both the investigation process and in teaching our field journeymen. • An understanding of the physics of nature and the physical properties of the materials being used. A common sense understanding of science should enable the inspector to develop scenarios, such as… if this condition happened, using this product and this circumstance was in play then the logical outcome should have been this. Understanding the science of the materials in play also helps when communicating with testing laboratories and engineers. At our company, this is where my science background comes in handy. It’s my job to work with the laboratories by communicating with them in scientific terms which helps to determine reasonable testing protocols and in interpreting test results. • Experience of having performed many investigations. Experience and insight that comes with having investigated many different failures, products and conditions is invaluable. Most inspectors have one or two of these traits; few possess them all. The benefit of having someone with this full spectrum of skills however becomes evident every time we are called in to a lawsuit and hear how our clients were unable to rely upon their previous experts throughout the whole investigative process. Having one forensic expert throughout the process - one who can investigate, document and communicate in a manner that will stand up in court - is much less costly in both time and money in the long run. It takes a combination of art and science to be a successful forensic investigator. The art is in detecting and translating of findings and putting them together like pieces of a puzzle. The findings are often just the symptoms of underlying problems. Once an investigator’s interpretations are applied to known factors and industry standards, common sense leads the way to solving the puzzle. Science returns as the final step to substantiate the findings and conclusions with quantitative data and logic to prove the case. What I love about my job now is being able to orchestrate the entire process, employing both art and science, to serve our clients well. Since I know this is what you want too, I hope you find this information helpful.